Elections are won in the political centre, right? Leftists like Schröder or Blair redefined Labour-politics and went on to dominate elections; conservatives like Merkel or Chirac were able to govern by making concessions to the left. In American politics, moderates like Clinton are considered more likely to win elections than outliers, like Sanders or Cruz. So what do you do when parties start losing in the political centre? The idea that you can win elections in the centre seems fairly intuitive. In a bipartisan system, like the U.S., voters have a more or less strong identification with a party. If you are very left-wing, you are a lost cause for the right-wing party; that means that right-wing parties do not compete for you, but it also means that you will not vote for them, no matter how badly “your” left-wing party performs. Swing voters are in the political centre, so competing for them makes for good relative gains. But what if you do not have a bipartisan system like the U.S.? What if there are far-right and far-left parties competing for your voters, as is the case in most European countries to some extent? Well, don’t worry, my centrist party – for there are far more voters in the political centre than on the political fringes. 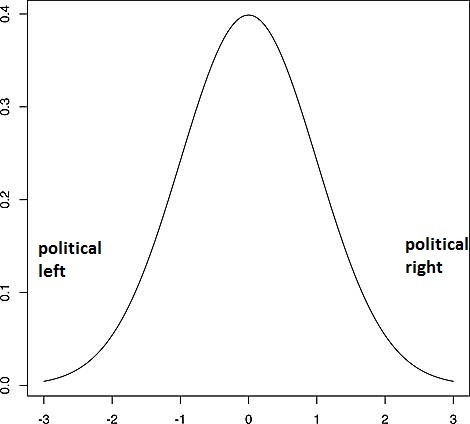 Just think of voters as a normal distribution. Now let’s say voters will vote for a candidate within 0.5 of their values. By positioning yourself at -2, you can reach much fewer voters than positioning yourself at, let’s say, 1. The closer you move to the centre, the more voters you are appealing to. Your main competitor, then, is the other major centrist party in your political system, and you can best attack them by better courting that tasty political centre. Go for middle class, urban demographics in smaller towns – that is where elections are won. Or is it? This is based on a couple of assumptions that have never been ultimately proven. First off, you simplify political ideas on (or more) axis, when in reality, political ideas can be very hard to identify as such. Why are civil rights a left-wing issue? They might as well be right-wing issues (and in some countries they are) – the reason we think of them so might have to do with left-wing parties claiming them for themselves. But if there is no objective left-right division, then the political centre is not a clear ideological field for parties, but rather where the dominant parties make compromises – not necessarily where most voters are located at. But even if that were true: Why would voters vote for a party that is closest to their ideas? This were only true if voters a) behave rational and b) have sufficient knowledge of political contests. There are plenty of reasons to question either. 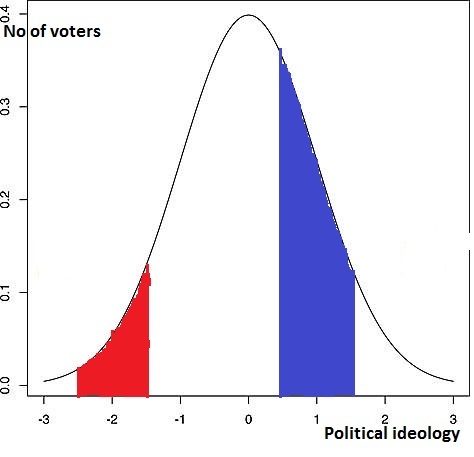 For example, voting behaviour can be explained by social ties and attachments to a party, cleavages, personal charisma of candidates, or even very unpredictable things like an economic crisis, so voters do not necessarily compare parties’ ideas with their own and vote based on that analysis. Add to that a strategy in politics to make vague policy claims in order to avoid alienating voters and emphasizing values rather than actions, and you might vote for someone who seems likable without really knowing what they will do in office (think Trump, but on a much smaller scale). So, while centrist policies may work well at taking votes away from your main opponent, there are a lot of arguments are to why this might not leave you with a majority of votes. The political fringes may be much larger than you assumed, or support for you may have not been based on disdain for your opponent, but rather on a psychological attachment ruined by your rhetorical movement towards the centre. Or a crisis might have occurred that changes flips the table; just pick one amongst the many, many European crises in since the 2000s, and you get an idea as to why centrists may be losing support. Electoral successes of the far right, be it FN in France, Ukip in the UK, AfD in Germany, FPÖ in Austria or PVV in the Netherlands, have been bothering European politicians for years, if not decades. Challenging both left-wing and right-wing parties, they success has been widely attributed to changes in voters’ behaviour – rarely explaining how the ruling parties might have contributed to their rise. Whatever may be the cause, their rise has put enormous pressure on centrist parties and made it harder to create governments – the biggest fear being mass movements like the leftist groups that won in Spain and Greece and managed to take more or less power, only this time from isolationist right-wingers. And it does not look too well for centrists parties in most European countries. 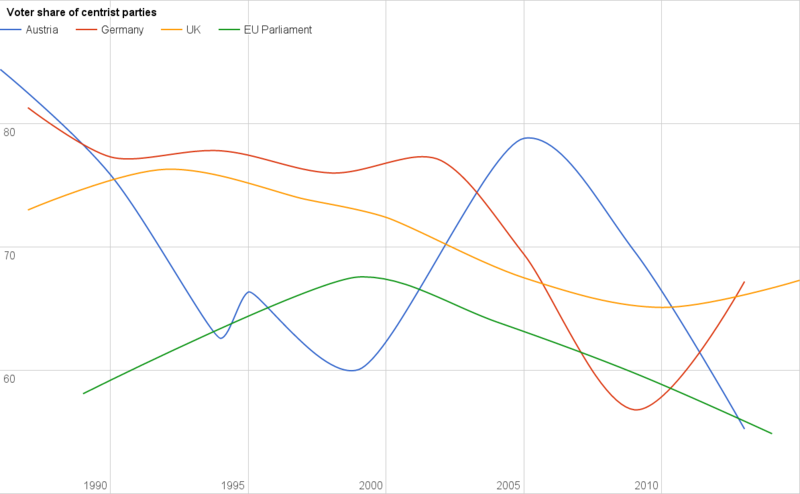 I just added election results of the major centrist parties in Germany, Austria, the UK and the European parliament to give an overall idea of their voter share in the last 30 years. So first off: Yes, centrist parties have gotten fewer votes over the last three decades. However, this does not seem to be a very clear or irreversible trend, rather having quite a few ups and downs – with a general trend working against centrist parties, but there still being a lot of variance. From somewhere in the 80s, the majors parties in those countries are now barely making it above 60 percent – and we are not talking about parties that intend to govern together, but parties that intend to unify one half of the political system on their own. Their claim to do so grows weaker and weaker. Why should they care about partisanship? Don’t get me wrong: I am not a fan of a Mouffe/Laclau-style radical democracy, where the fringes of the political system become almost more important than the centre. But parties should nevertheless consider that elections are not necessarily won in the political centre. There is simply no proof of that, but rather some alarming caveats of appealing to the centre too much, namely losing profile and discouraging your support base, leaving you vulnerable to populist movements like the far-right parties that currently seem on the rise. The likes of Tony Blair may win an election, but they will leave a deeply troubled party behind. The likes of Corbyn, meanwhile, are not going to win by simply following Blair’s handbook – a lot of other factors, like the economy, personal charisma and the public discourse have a much larger impact on election results. As long as everyone tries to woo the same voters, however, there are plenty of people left for parties on the ideological fringes – and they will, at one point or another, use that potential. 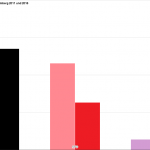 Next Next post: Flüchtlingshilfe – soziale Bewegung oder karitative Hilfe?